The LACV-30 is a fully amphibious, high-speed craft designed to transport military cargo in LOTS operations. Its two twin-pack, turboshaft engines use standard aviation kerosene fuel (JP4). The 150-horsepower auxiliary power unit (APU) provides 115 volts, 400-cycle AC power to run the swing crane and the drive for the air management system fan. The fan provides filtered, positive pressure for the air for the engines, the cabin, and the intakes of its own system. The basic hull structure is of hollow-core aluminum and can be disassembled into sections for transport. The LACV-30 is an air cushion vehicle craft that travels over water, beaches, soft or firm ground, snow or ice at speeds of up to fifty miles per hour. The craft has an open deck space with a total payload capacity of thirty tons. The LACV-30 is approximately 12 m (40 ft) wide by 24 m (80 ft) long, weighs about 29,510 kg (65,000 lbs) empty, can carry up to 27,240 kg (60,000 lbs) of cargo, utilizes gas turbines to power its twin propellers, and can cruise at speeds of up to about 97 km/h (60 mph). The LACV-30 has a load supporting cargo deck area of 1,674 square feet [slightly larger than 150 m2]. It can support a fully loaded 20-foot container at specified deck locations. The craft can transport two 20-foot containers. It can transport all classes of supply-palletized, containerized, or vehicular-up to 30 STONs under ideal operating conditions. Under average operational conditions, use a planning factor of 25 STONs. The LACV-30 has load spreader pallets for containers and sufficient tie-down points to secure most loads. The transportation medium lighter company, equipped with the lighter air-cushion vehicle (LACV-30), can uniquely support LOTS operations. The terrain-independent characteristics of the LACV-30 give the planner a far wider range of employment options compared to displacement-type lighters. The LACV-30 was principally developed as a container carrier. However, it can carry other types of cargo, to include wheeled and tracked vehicles, commensurate with its overall capacity. The LACV-30 with its high overwater speeds also allows the planner to consider greater dispersion of vessels and unloading sites without significantly degrading operations. A major Army mission is to ensure the adequate flow of supplies and materiel to the various field elements deployed worldwide. With commercial shippers converting to containerized cargo, the Army realized that some of its then current watercraft would inhibit fast turnaround of container ships and thereby reduce productivity. The Army concluded that the air cushion vehicle concept should be developed for use in an over-the-shore logistics operation. With the publication of the TransHydro study in 1973, the Army requirement for an amphibious air cushion lighter was born. By June 1974, a required operational capability (ROC) was approved by the Department of the Army for a 20- to 30-ton payload, 40-knot, fully amphibious air cushion vehicle, designated the Lighter Air Cushion Vehicle, 30- ton payload (LACV-30). As a part of the total resupply system, a program was begun in December 1974 to achieve a high-speed, amphibious, air cushion vehicle lighter capability. A study conducted by the Army to identify its watercraft needs in 1975-85 stated that the air cushion vehicle should be capable of transporting both break-bulk and containerized cargo weighing as much as 30 tons. The study stated further that the inventory of LARC-Vs and LARC-XVs could not transport containerized cargo and would have to be replaced. By the time the study was completed, Bell Aerospace had built an air cushion vehicle under the name of Bell Voyageur. Selecting the Voyageur as the replacement for the LARC-Vs and LARC-XVs, the Army modified and purchased two Voyageurs from Bell Aerospace under the Military Adapted Commercial Item program. The modified Voyageur resulted in the military design which has been desianated as the 30-ton lighter air cushion vehicle (LACV-30). The prototype Lighter, Air Cushion Vehicle, thirty-ton (LACV-30) was procured in March 1975, and subjected to intensive development and operational testing from October 1976 to January 1978. The Lighter Air Cushioned Vehicle (LACV 30) is a fully amphibious, high speed craft designed to carry military cargo between ship and shore. Today's military requirements demand swift deployment, effective use of containerized cargo, and more versatile carriers. To achieve this ideal, the LACV 30 was developed to replace the LARC 5 and LARC 15 in the Army inventory. LACV-30 is a medium amphibian, air cushion vehicle that can be used on 70 percent of the world's beaches, compared with only 17 percent now acceptable to conventional lighterage. The LACV-30, which can transport twenty-five to thirty short tons of containerized or break-bulk cargo at a cruising speed of forty-six miles per hour, operates independently of tides, reefs, mudflats, water depths, underwater obstacles, or bottom gradients. The Lighter, Air Cushion Vehicle, 30-ton capacity (LACV-30) is a craft approximately 80 feet long by 40 feet wide which has a gross weight when loaded of 120,000 pounds. The craft does not have an integral jacking system to raise it so that underhull and skirt inspection and repair can be performed. The concept of using air bags to lift this craft has been explored for a decade. Among these efforts was an information search the Army conducted in 1979 to find a state-of-the-art lifting bag system for the LACV-30 program as an alternative to the use of straddle cranes or dry dock facilities. The airbag concept is to place beneath the craft several large, deflated air bags which are connected to a source of compressed air, which is regulated and monitored by a manifold. When the bags are inflated , they are to raise the craft sufficiently so that 48 55-gallon oil drums may be placed beneath it. The drums support the craft while the work is being performed. When the work is complete, the process is reversed to permit the removal of the drums, then the bags, and the return of the craft to service. By 1979 the Army had established a requirement for 29 LACV-30s. The Congress appropriated $21 million for four LACV-30s in fiscal year 1979. The Office of Manaqement and Rudqet had approved an additional $20.8 million for four more LACV-30s in fiscal year 1980. Some Army officials who questioned the requirements for the LACV-30 believed that the LARC-LX can meet the requirements; however, the LARC-LX was not considered in the Army's study. There were 36 LARC-LXs in the inventory as of 1979, and according to Army officials, they will remain even after receiving the LACV-30s. Furthermore, several Army aqencies believed that LACV-30 operational testinq had not been adequate for making a procurement decision. Modifications proposed during testing had not been tested as of 1979, and the LACV-30's operational performance and costs had not been adequately determined. Under the Military Adapted Commercial Item program, the services can reduce their research and development and testing costs by purchasing from commercial sources rather than going through the developmental process. In this way, the information needed to make a procurement decision can be based on historical data about the commercial product, while essential data not available commercially must be gathered from Army tests. 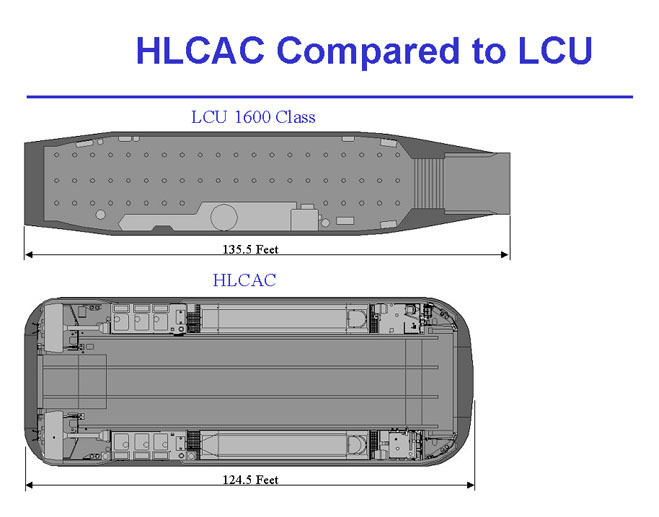 Several issues limit the usefulness of commercial data on the Voyageur as a basis for decisionmaking on the LACV-30. For example, Bell Aerospace had built only four Voyageurs, they were all prototypes and that no two of them were alike. In addition, the commercial Voyageurs had operated in snow, ice, and fresh water environments -- far different from the salt water and sand environment that a fielded LACV-30 can be expected to operate in. adding an auxiliary power unit. In view of recognized risks in these modifications, the Army decided to put the LACV-30 prototypes through operational and developmental test II. Test I, which determined whether the hardware configuration of a system or its components will be useful to the military, was bypassed because the LACV-30 is an adapted commercial item. Test I normally occurs at the end of the planning phase of the acquisition process and before full-scale development. In a 11 November 1977, report to the Secretary of the Army GAO stated that the scope of operational testing would not ensure that the LACV-30 demonstrates certain required capabilities before a major procurement decision is made. At that time, Army officials stated that operational testing of the LACV-30 was not as extensive as it normally is because the vessel is a military adaptation of a commercial item and that civilian experience could thus be used in the operational evaluation. However, GAO stated that civilian experience should not be substituted for operational testing because experience in the civilian sector may have been acquired under conditions far different from those expected during military operations. Operational and developmental test II, which looked at equipment reliability, availability, and maintainability, was designed to test prototype equipment in the field after full-scale development and before the procurement decision. Testing of the LACV-30 was done by the Army Operational Test and Evaluation Agency (OTEA) and the Army Armor Engineer Board. Although test II is normally the most rigorous test, a number of Army officials expressed concerns about the adequacy of the LACV-30 testinq throughout most of the program. The Army's Logistics Evaluation Agency (LEA) was troubled about the adequacy of tests on the LACV-30 early in the program. During a June 25, 1976, review of the draft development plan and coordinates test program for the LACV-30, LEA's position was that certain portions of the development plan were inadequate, as follows: "The plans for Personnel and Training (section V) and Logistics Support (section VI) are vital to the development effort. They are of particular importance to the LACV-30 program since the item represents a totally new, very expensive, highly complex piece of equipment for the Army. Adequate planninq for the identification, acquisition, and testing of support resources is essential to successful fielding of the LACV-30. Documentation of planning in the Developmental Plan does not reflect that adequacy." A test report prepared by the Army Armor and Engineer Board concluded that the LACV-30's reliability, availability, and maintainability characteristics were inadequate when considered in conjunction with its proposed operational use, in that the LACV-30 could not be expected to complete two lo-hour shifts without a system or mission failure. The LACV-30 was designed to carry 25 to 30 tons of containerized cargo in an over-the-shore logistics operation. Because an average container loaded with military materiel weighs approximately 18 to 20 tons, LEA reported that the LACV-30, whether self-loading or not, could safely carry only one randomly chosen container. The agency questioned whether such hauling capability was worth the severe penalties incurred. LACV-30 used five to seven times as much fuel required (per container loaded) as for conventional lighters. Extensive training was required for operators (100 hours), navigators (35 hours), and maintenance personnel. The LACV-30 faced high unit production costs, and high operation and support costs (the extent of which was not fully known). An Army executive meeting to review the program was held on 15 January 1979 with decisions made to accept the LACV-30 as a standard Army item, begin procurement of production items, and conduct a follow-on evaluation test with the initial four craft produced. A program was conducted on the LACV-30 to test proposed improvements to the craft prior to production. A contract for initial procurement of four LACV-30's with options for follow-on buys of eight more craft, was awarded to Bell Aerospace Textron in September 1979. In 1980 GAO recommended that the Army not commit procurement funds for the air cushioned lighterage vehicle (LACV-30). The Army had not done a cost and benefit analysis between the vehicle and an amphibious craft (LAX-LX) to determine if on-hand assets could meet amphibian watercraft requirements. GAO questioned the procurement because the Army did not know firm requirements and did not know the true performance of the air cushioned vehicle. A contractor charged with evaluating the joint tests also noted major concerns which created questions as to the air cushion vehicles' viability. Their report questioned load limitations less than the rated 30-ton capacity. Heaviest loads carried during the joint tests were between 22 and 23 short tons. Fuel consumption averaged 130 gallons per hour, which is about five times as much fuel as that required for conventional lighters. There were adverse effects of blowing sand, dust, and salt water on personnel and equipment. In 1982 DARCOM signed a contract for construction of the twelve craft needed to equip a new company. Also during 1982 the Army accepted the first production model LACV-30 at Fort Story, Virginia. At the end of September 1982, ODCSLOG expected the last of the twenty-four craft required for the two companies to be delivered by fiscal year 1985. The Army also planned to field its second Lighter, Air Cushioned Vehicle (LACV-30) Company at Fort Story, Virginia, in October 1984. This will increase the LACV-30 fleet to 24 vehicles. During 1983 the Army put into operation the first lighter, air cushion vehicle (LACV-30) company and awarded contracts for twelve additional LACV-30 craft required to field a second LACV-30 company. The largest to-date peacetime logistics-over-the-shore (LOTS) exercise occurred in the Fall of 1984 at Fort Story, Virginia. During the latter part of the exercise, the Army was responsible for the LOTS operation and a sustained test of the LACV-30 air cushion vehicle, the temporary container discharge facility (a 60- by 150-foot barge mounting a 250-foot crane), and the "A" DeLong pier (a 300-foot-long, 80-foot wide, 13-foot-deep barge elevated on 10 6-foot-diameter caissons). Separate sections of the "A" DeLong pier are linked together to form a pier for direct discharge operations from deep draft ships. Using the air cushion vehicle, the 331st Transportation Company actually moved more containers during a 10-hour shift than any combination of lighters moved. During one shift, five of the LACVs moved 187 containers. The Army purchased a total of 26 LACV-30s. The Army operated the LACV-30s up until the mid 1990s. Most of these were ultimately turned over to a Native Alaskan corporation that continues to lease them to meet requirements in Alaska. The 331st Floating Causeway Company was part of the 6th Transportation Battalion (Truck). It was inactivated at Fort Story as a LACV-30 company in 1995 because the Army no longer needed air cushion vehicles. By 1996 a total of 14 unnamed former U.S. Army vessels, serial numbers LACV-30-04, LACV-30-05, LACV-30-07, LACV-30-09, LACV-30-10, LACV-30-13, LACV-30-14, LACV-30-15, LACV-30-16, LACV-30-22, LACV-30-23, LACV-30-24, LACV-30-25, and LACV-30-26, were purchased by Champion Contractors, Inc. of Anchorage, Alaska. The vessels' owner intends to use them for passenger and cargo service between points in Alaska. These 76-foot hovercraft were assembled in Canada and Fort Story, Virginia between 1982 and 1986. The Postal Service investigated the feasibility of utilizing hovercraft to transport mail to remote villages in the vicinity of Bethel, AK. As part of this investigation, the Volpe Center conducted an Environmental Assessment (EA) of the proposed action. Initially, it was intended to use a LACV-30 for transport service. However, significant environmental concerns were raised with regard to this craft, in particular, the possible adverse effect the craft's operation would have on the noise environment in the surrounding villages. Previous studies have shown the LACV-30 to be comparable in noise level to first-generation commercial jet aircraft and current military aircraft. Consequently, the Postal Service decided that, if this initiative were to be undertaken, the LACV-30 could not be used, and the AP.1-88 would be examined as a potential surrogate craft.